I just wanted to put a note out to thank all the people who made 2017 Drum Corps Show possible on Tuesday night. After months of preparation, the show was a huge success and brought in thousands of people from all over Idaho and many other western states as over 1,200 participants took the field in Kuna. 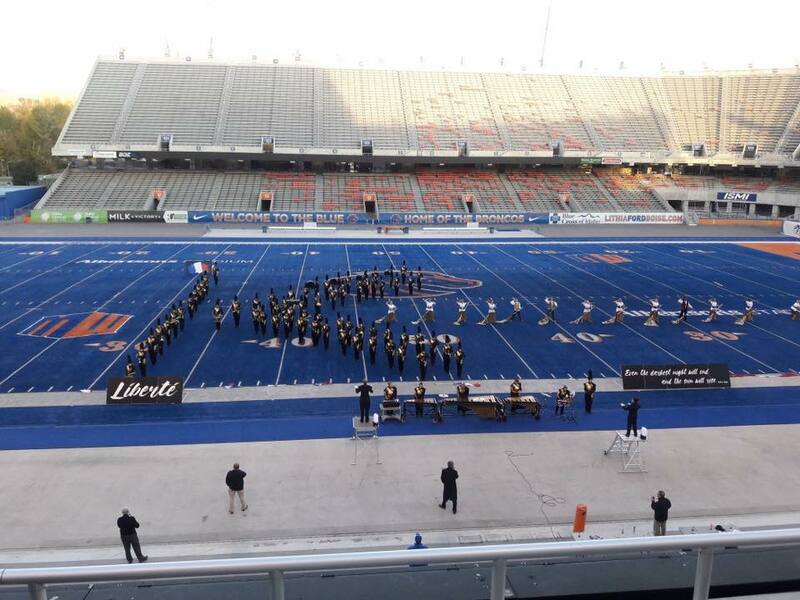 There were also band directors from all across the valley who donated their time to house these performers, especially Joel (Fruitland), Jerry (Mountain Home), Averi (Payette), Jeff (Caldwell) and Matt (Ontario). Thank you Mike Gough and the Troopers for making this the best show yet! And thanks to you- for sharing info on the show and attending! ​It's truly amazing what can be accomplished as everyone pitches in! Drum Corps Clinic at KMS 11:30am-1pm----Be There! 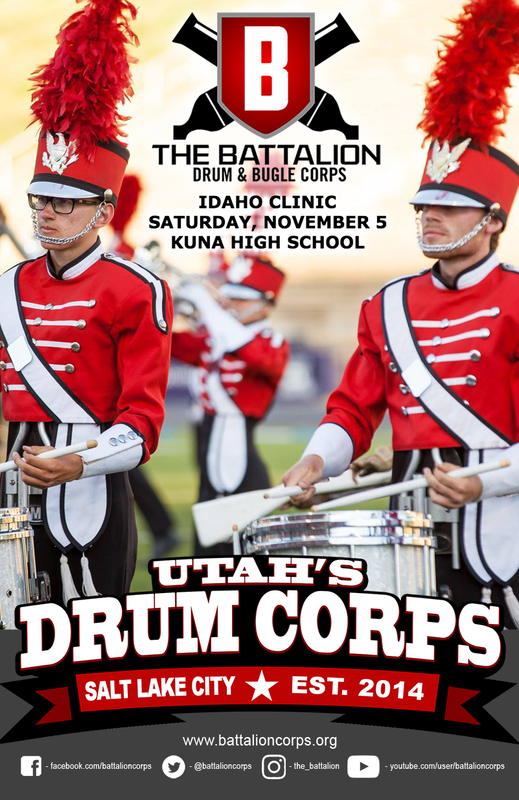 ​The Battalion Drum Corps is staying at Kuna Middle School and is offering a chance for Kuna Band students to participate in a clinic (for marching) from 11:30am to 1pm. No instruments needed, but come in athletic shoes and athletic shorts and a water bottle! CHECK THE CALENDAR FOR THE MOST CURRENT EVENTS! Exciting events to kick off the year Monday July 10th and Tuesday July 11th! ​SEE YOU MON. JULY 10TH AT 5PM (STUDENTS) AND 6:30PM (PARENTS/STUDENTS)! 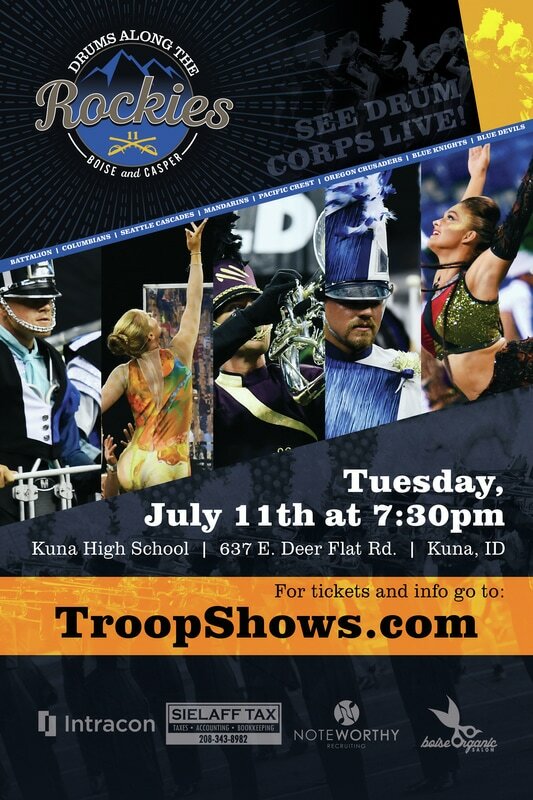 DCI SHOW TUES. JULY 11TH AT 7:30PM! CongratS to our Graduates- Class of 2017! 1- Please fill out the last two forms in next year's band handbook and return to Mr. Krall ASAP. 2- Make sure to get a warmup packet before the beginning of summer (available next week). Also make sure to check out school instruments in order to practice! 3- Our first activity of the new school year will be on JULY 10th. There will be an informational parent meeting at that time among other activities. 4- Get ready for the DCI show on July 11th!!! It's going to be great! 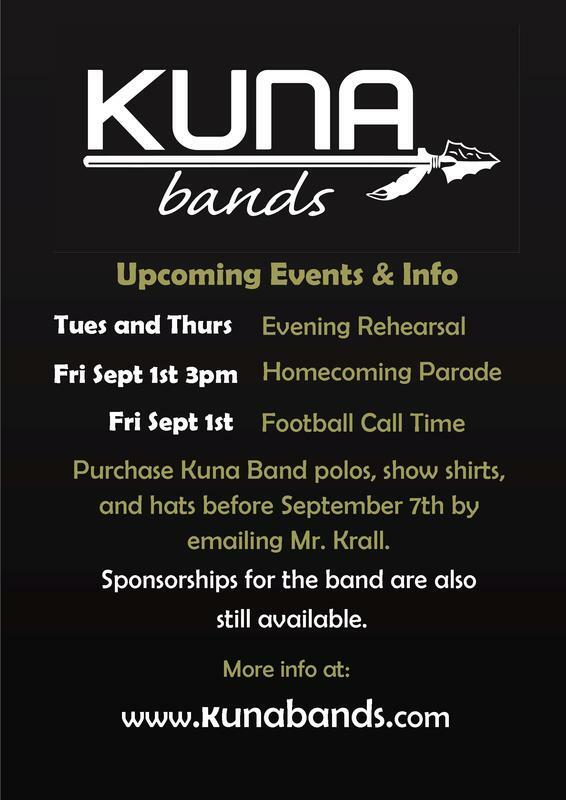 As always www.kunabands.com is being updated constantly. Check out the calendar section specifically. Thank you for making this year special! 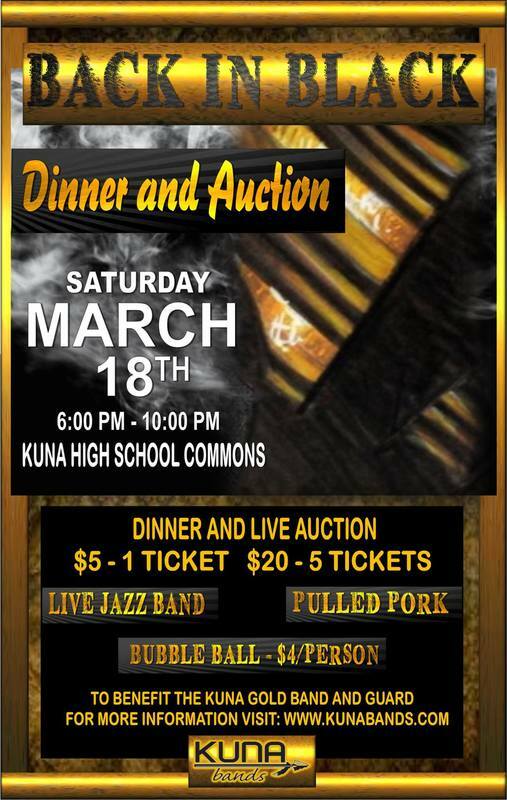 Thank you to all who supported the band this past week by attending the Dinner and Auction event at Kuna High School. Special thanks to all the parents who made that event possible- especially Teri Woods, Michele Sielaff, Christine Compton, Michelle Bollar, Glenna Rasmussen, Diane Kulin and so many others! 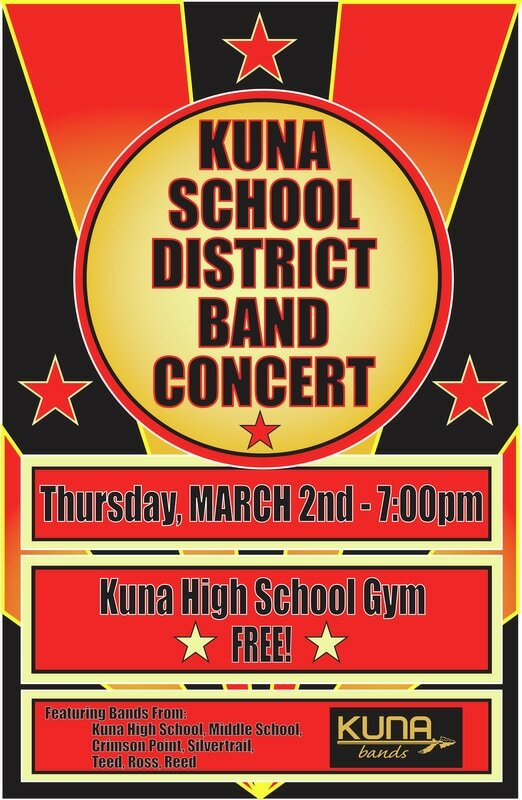 On March 2, 2017, the Kuna School District hosted it's annual Combined Band Concert at Kuna High School. About 400 band students participated from 7 different schools. Around 1500 people attended the concert and enjoyed the students' music! Congratulations to Jayr, Bryan, McKayla, Mallorie, Zach, Hayden, Nathan, Zia and Max for their playing with guest conductor Dr. Linda Moorhouse from the University of Illinois February 3rd, 2017. Thank you for attending the 2016 Christmas Concert. There was a good turnout and some great student performances in all ensembles! Troopers Camp This Saturday at 9am- FREE! 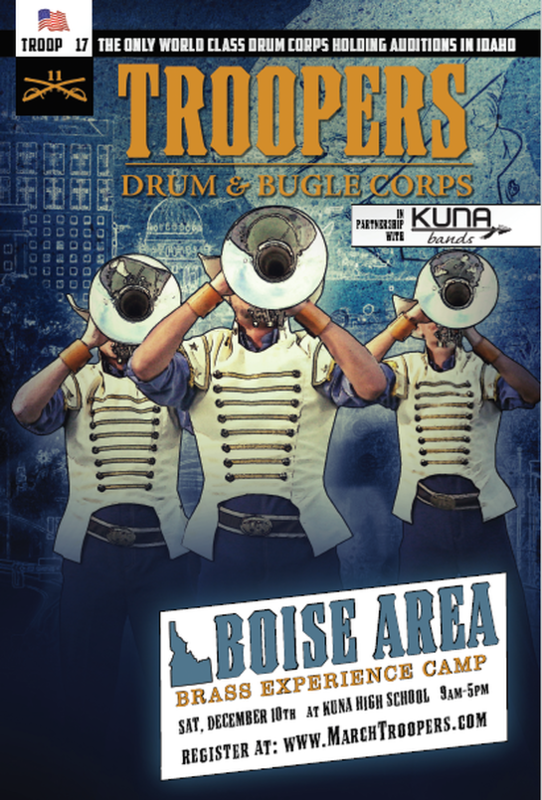 Troopers Camp Coming to Kuna Dec. 10th - Register below for FREE! 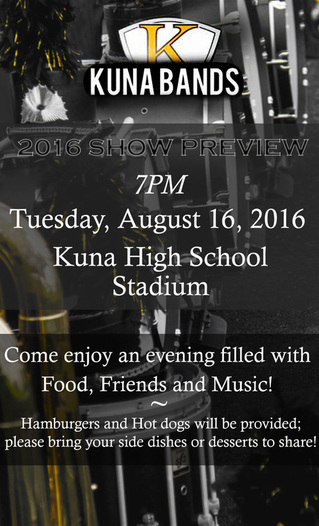 ​Next Tuesday, November 1st, we will be having an end of season banquet to recognize all the hard work that the Kuna Gold Band and Guard students have put in for this 2016 marching band season! Come join us at 6:30 PM in the KHS Commons. Students will have a final standstill performance of their show prior to some awards and recognition. 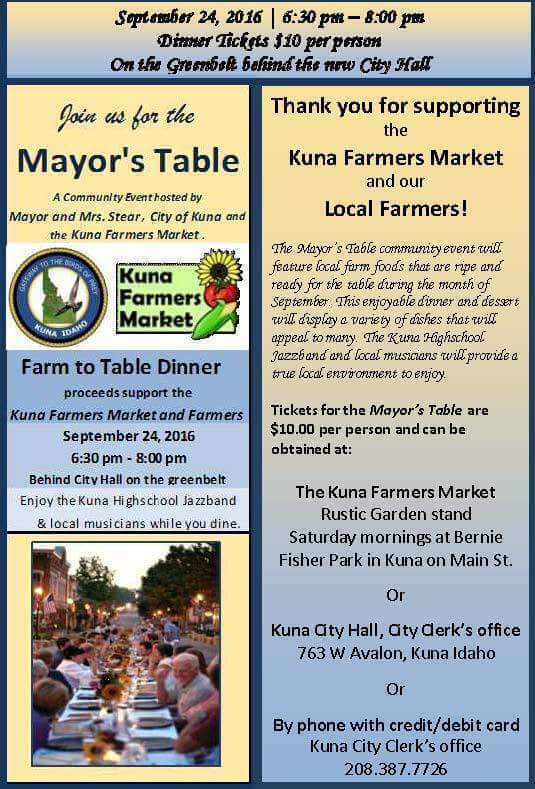 A spaghetti dinner will be provided- just bring your own side dishes and/or desserts! 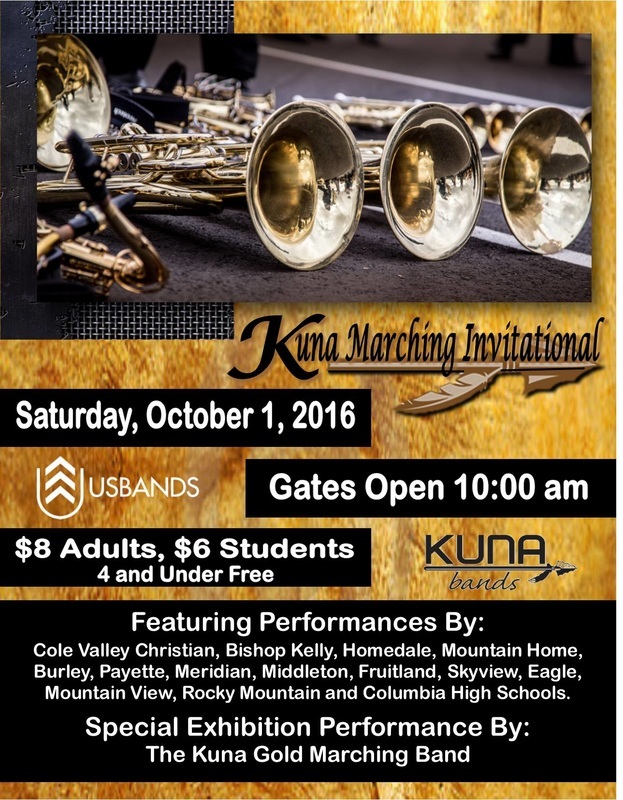 On a different note, the band will be taking a trip over to Rocky Mountain High School tomorrow night to play pep band at the state playoffs. This is an optional performance, but it looks like we have more than half the band planning on coming. 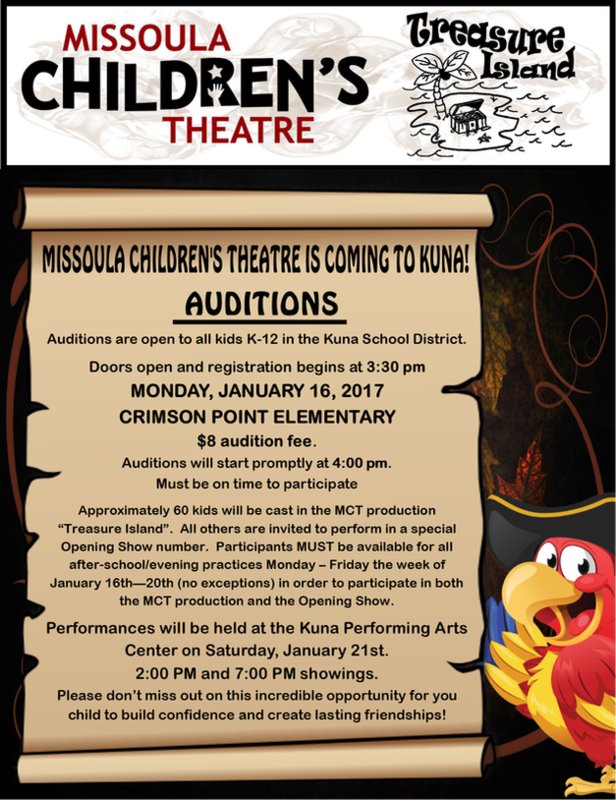 Call time is 5:00 PM at KHS. Attire is warm black Kuna gear! Expect students to be home to KHS at around 10:30 PM. 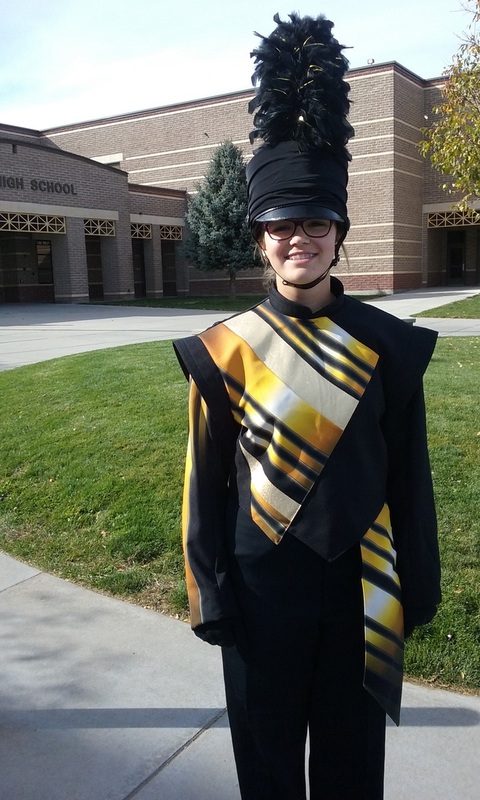 Congratulations to Zia Graves- 2016 All-State Band! 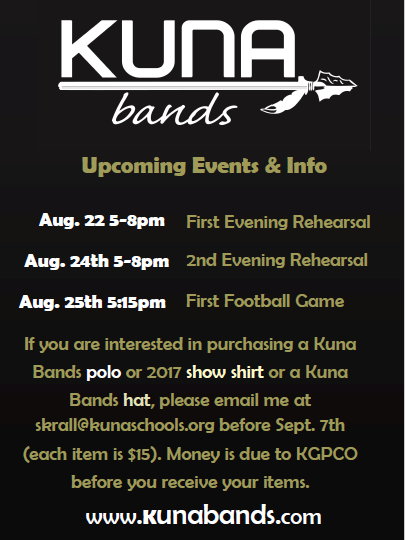 Kuna Gold's NEW Uniforms are Here! 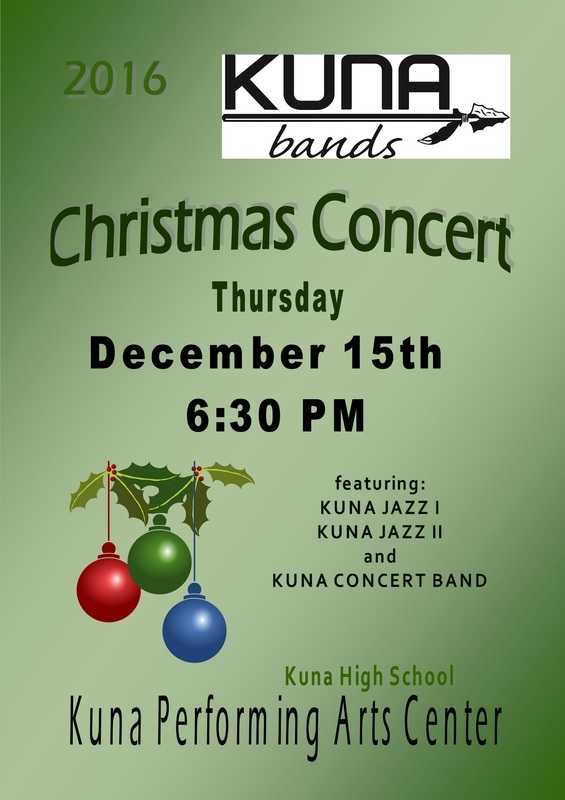 High School Band call time is 6:15 PM on blacktop in uniform with instruments. 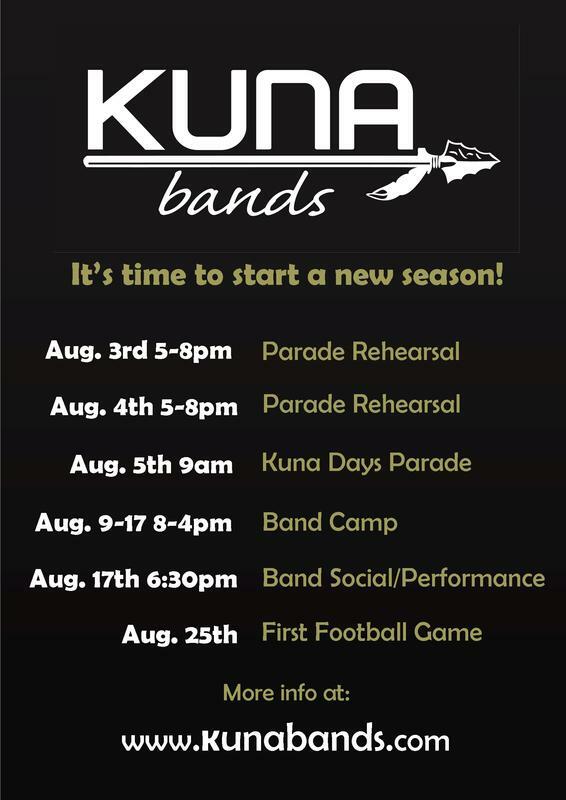 The Kuna Gold Band and Guard Ensemble Page has the file for the band camp schedule. Kuna Guard Gets going with Camp! Thanks to coach Chey Kimbrough, the colorguard is off to a great start! 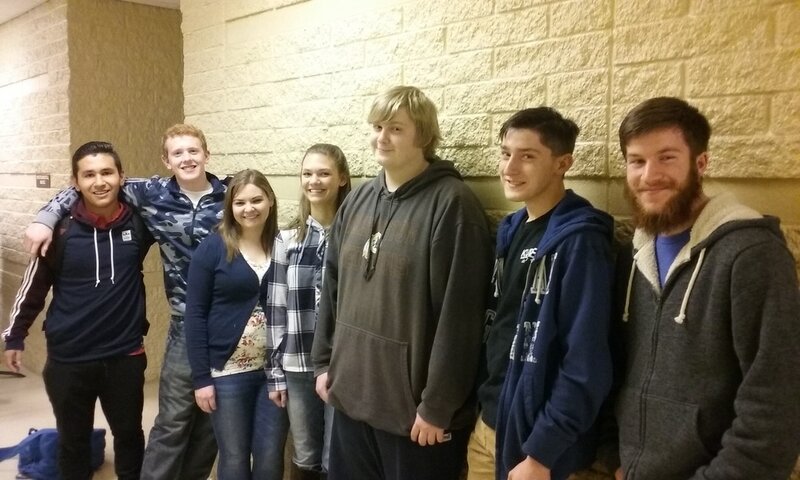 This year's leadership team had a great time with training from Mrs. Krall. Also, the band came out in full force for a marching basics camp run by Michael Gough. 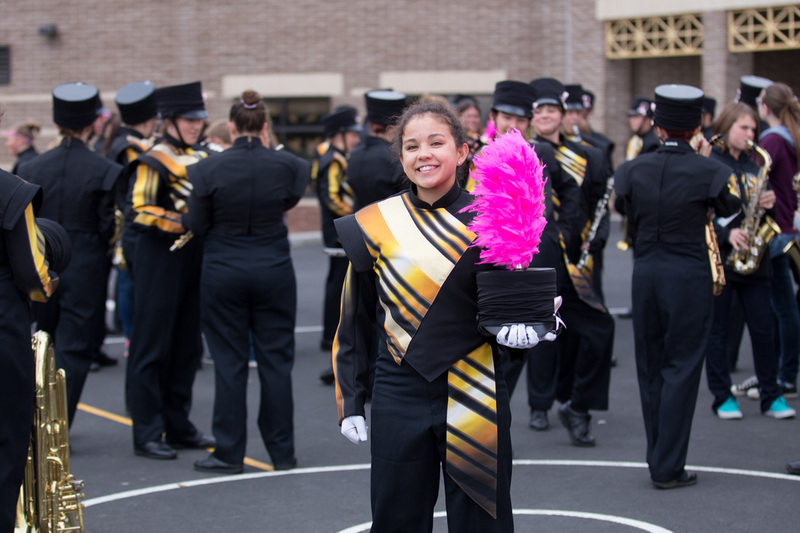 Click here to find more information on the upcoming marching band season!